January 21, 2019, 12:31 p.m.
As Andy Murray retired last week (or maybe didn’t – who knows?) we thought we’d take a quick look at the impact his 14-year career made in the UK. 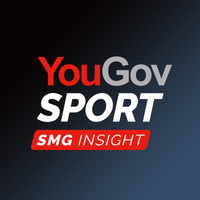 Our YouGov Ratings data reveals that Murray is the UK public’s third favourite contemporary athlete, behind Sir Mo Farah and Roger Federer, making him a sponsor’s dream. Among millennials and women, that ranking goes up a spot, to push him into second. During his career, Murray has been sponsored by a range of apparel manufacturers – Fred Perry, Adidas, Under Armour and this season, the new kids on the block, Castore. His most recent long-term deal with Under Armour came at a key time for player and brand. The contract term saw Murray win his second Wimbledon and Olympic titles, as well as captain Great Britain to its first Davis Cup win since 1936. For Under Armour, it coincided with its efforts to cement a place at the top table of apparel-makers. Yet despite this, according to data captured by YouGov SportsIndex, of all the major UK sports it’s among tennis fans that Under Armour appears to have made the smallest dent. The graph below charts Impression Scores for the brand among fans of five sports versus the general public. Under Armour’s Impression Score (whether someone has a positive or negative impression of a brand) among tennis fans is only 0.1% higher than it is among the general public. So what of Murray’s other big sponsor, Jaguar? Jaguar has enjoyed more success with a tennis association that extends to being the Official Car Partner to Wimbledon, as well as a handful of other tennis partnerships. In contrast to Under Armour, Jaguar has enjoyed a sustained increase in Impression Scores among UK tennis fans, with its score peaking in 2016 immediately following Murray’s second Wimbledon win in July. Regardless of his commercial success, there’s no doubt that Murray has made an enormous impact on the UK public. A final fact to demonstrate his influence; when asked, unprompted, for their sporting heroes, there’s only one person in front of Murray on the list for Brits – a certain David Beckham. Not a bad sports star to come runner-up to.